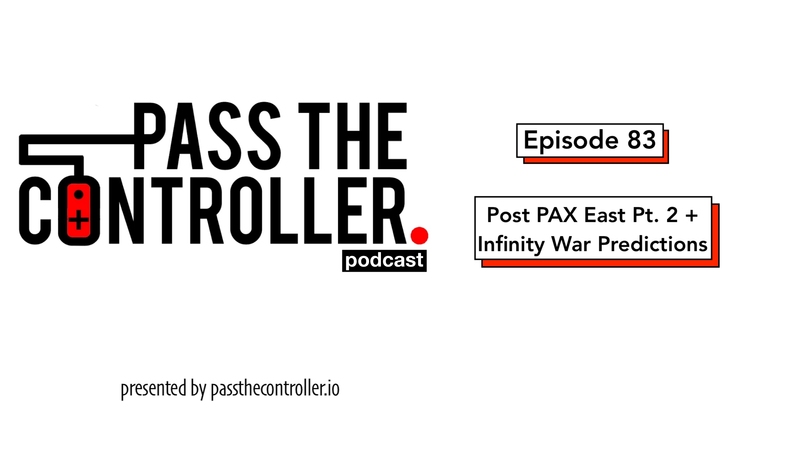 Episode 83 of the Pass The Controller Podcast is now available on iTunes, SoundCloud, and most major podcast platforms. Listen in as Brenden, Mike, and Dom sit down and chat about PAX East a little bit more, independent games and their impact on the industry now, and Avengers: Infinity War and the state of the MCU. Oh, and we talk about peanuts and legumes. Be sure to RATE and REVIEW the podcast!